New Delhi: Freshwater turtles may be small, but they are proving to be a big stumbling block for the government’s plans to dredge the Ganga for a multi-crore inland waterways project that will pass through Varanasi, Prime Minister Narendra Modi’s constituency, and end in Haldia in West Bengal. Documents available with The Wire reveal how grounds are being prepared by Yogi Adityanath’s government to denotify the 210-hectare area of the sanctuary. 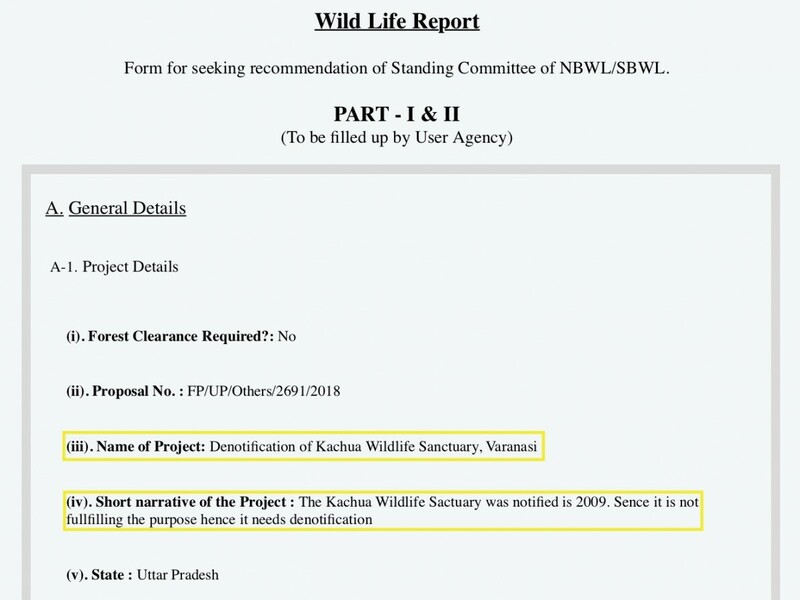 The reason stated by the DFO Kashi wildlife division in a written submission to the National Board for Wildlife states that “sence (sic) the sanctuary is not fulfilling its purpose hence it being denotified”. Another letter, by chief conservator of forests S.K. 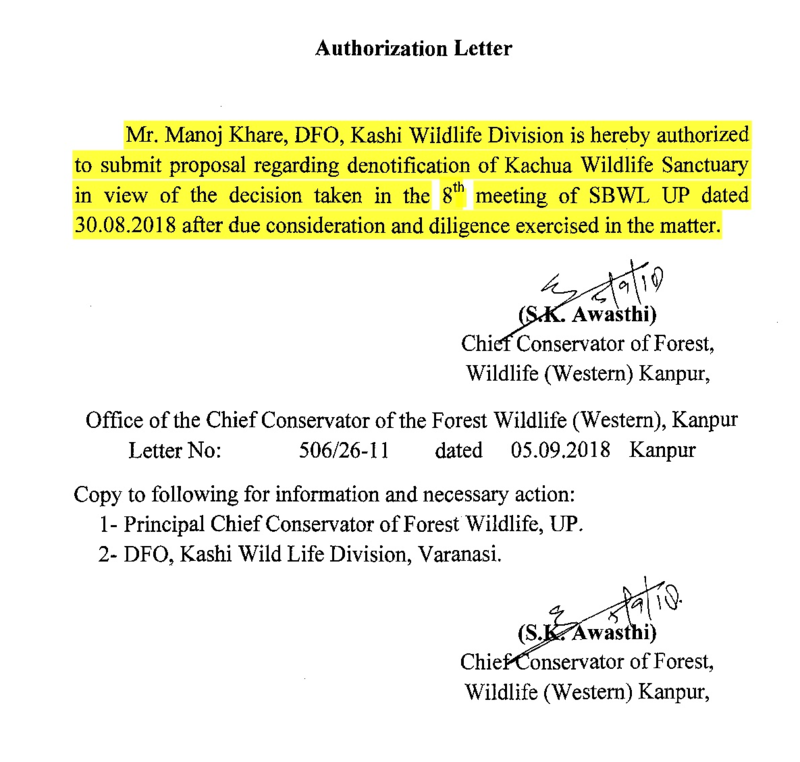 Awasthi on September 5, 2018, asks the DFO Kashi wildlife division to submit a proposal for denotification of the ‘Kachhua Wildlife Sanctuary’ since the State Board of Wildlife has cleared this in a meeting held on August 30,2018. Letter from chief conservator of forests to subordinate officer asking that a proposal for denotifying the Turtle Wildlife Sanctuary be summited. The letter is dated September 5, 2018. While there has been much media speculation about the turtle sanctuary proving to be a stumbling block for the NDA government’s plan for big infrastructure projects on this stretch of the Ganga, papers available with The Wire are the first documentary evidence that conveys the government’s intent to actually destroy the wildlife sanctuary. If the Centre approves the proposal to denotify the Kachhua Sanctuary, this will be the first protected area to be completely wiped off the map of India since the introduction of the Wildlife Protection Act, 1972. A similar attempt was also made under the UPA government when the then chief minister of Haryana, Bhupinder Singh Hooda, had tried to denotify the Saraswati wildlife sanctuary. However, due to a public outcry it was only down-listed as a conservation reserve. Requests have been made from time to time by various state governments to reduce the size of wildlife sanctuaries but this is definitely a first. The supporting document to justify the destruction of the wildlife sanctuary is a scientific report prepared by the country’s apex wildlife body, the Wildlife Institute of India. The July 2018 report titled ‘Assessment of the Wildlife Values of the Ganga River from Bijnor to Ballia including Turtle Wildlife Sanctuary (TWS), Uttar Pradesh’, states that in a field survey conducted in the sanctuary “only five of the 13 species of turtles found in the Ganga were observed”. This observation about the presence of fewer species of turtles has been used to justify the action by the state government to denotify the wildlife sanctuary. The Turtle Wildlife Sanctuary is a 7 km river stretch starting from upstream Ramnagar fort to Malviya bridge in the state of Uttar Pradesh. The city of Varanasi lies on the western bank of the sanctuary. The bank is almost totally concretised, with more than 80 ghats drawing tens of thousands of pilgrims every day. The WII report has been used to justify the state government’s order for denotification even though the report clearly states, “Sand bars situated on eastern banks are crucial for the survival of the birds and reptiles in terms of their nesting and basking requirements. The sediment dynamics of the sanctuary is one of the most important factors that govern the distribution of aquatic biodiversity. 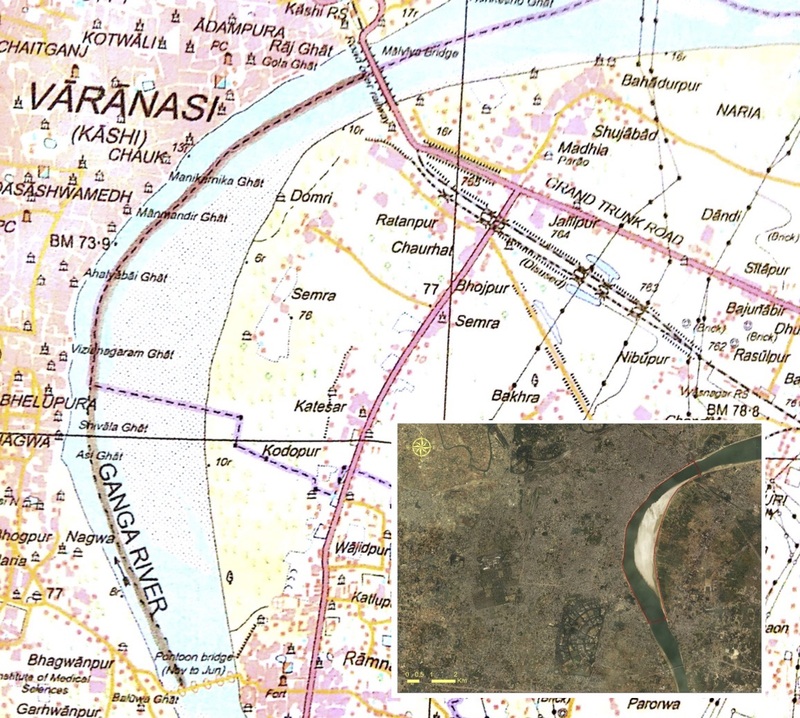 Any change in the river channel and sand bar may drastically affect the existence of ancient ghats along the western banks as well as the biodiversity of this region”. It further goes on to observe that during the field survey conducted, “a total of 45 fish species belonging to 38 genera, 16 family were recorded from the TWS and adjacent stretches”. It notes: “The sand bar in the right bank of the Sanctuary, though is an excellent habitat for turtles and breeding birds, is also under severe anthropogenic pressure”, but then adds, “Higher diversity and catch of fish species from the TWS is indicative of restriction on fishing in the sanctuary,” thus implying that the sanctuary in fact has helped protect biodiversity, thereby contradicting the claim of the state government. 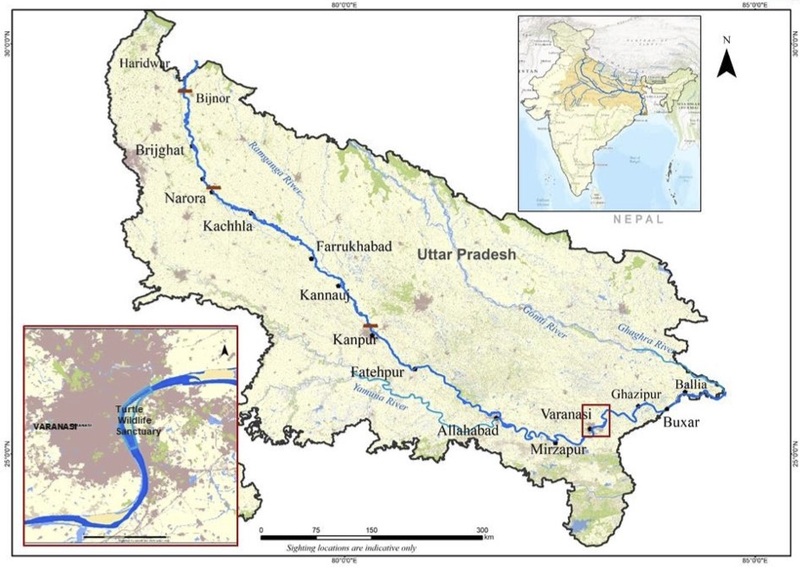 Oddly, the Wildlife Institute report then goes on to recommend that the stretch from “downstream Newada in Allahabad district to Adalpur in Mirzapur district, a total of 140 km may be considered as conservation priority area and notified as a Wildlife Sanctuary under the provision of Wild Life (Protection) Act”. So the creation of a new sanctuary close to Allahabad is being used as a justification for destruction of the existing sanctuary at Varanasi, which the WII report notes is “an excellent habitat for turtles”. If a sanctuary faces anthropogenic pressure, as the TWS is, then the logic surely must be to secure it and not denotify it. The Kachhua sanctuary was declared in 1989 to save the biodiversity of the river Ganga. In order to check pollution in the Ganga and restore its biodiversity, a unique turtle-breeding project with its breeding centre at Sarnath was started with the objective of releasing the then bred turtles in the Ganga. The idea was that this would help remove bio-pollutants like partly cremated and dead bodies directly thrown in the river while at the same time bringing back species that were once part of the river ecosystem. To protect these turtles and secure their habitat, the Kachhua Sanctuary, spreading over seven kilometres, was declared under the provisions of the Wildlife Protection Act 1972. The Ganga River basin is recognised as a Global Turtle Priority Area with over 13 species of freshwater turtles, classified into nine genera. 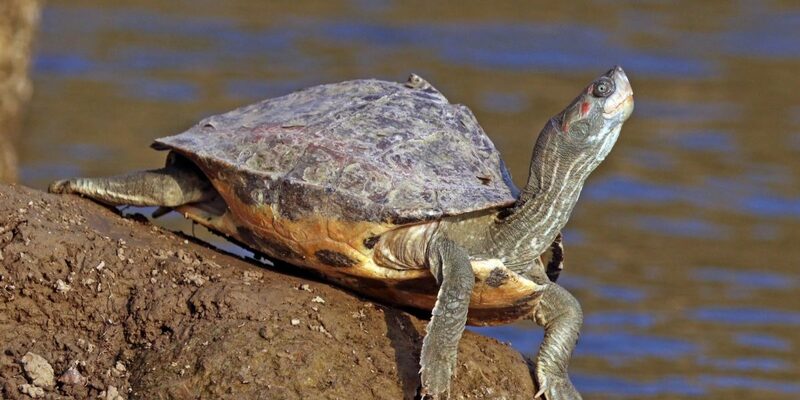 Of these, nine species are under the threatened categories such as Red-crowned roofed turtle Batagur kachuga (CR), the Three-striped roofed turtle Batagur dhongoka (EN), and the Indian narrow-headed softshell turtle Chitra indica (EN). The Wildlife Institute of India also interviewed several fishermen in Varanasi as part of its study and observes in its report, “Most fishermen reported seeing large sized individuals of the Ganges soft-shell turtles which they refer to as ‘katawa’ in their local Hindi language, at sites close to Assi and Manikarnika Ghat in the TWS as well as at sites near the mouth of rivers Varuna and Assi Nala. Fishermen also reported occasional nesting of turtle species in sand banks upstream of the sanctuary and further that “five freshwater turtle species were encountered in TWS out of the 13 species reported from the Ganga River “. In spite of these findings, the Yogi Adityanath government has sent a proposal to the Standing Committee of the National Board For Wildlife at the Centre asking for ‘denotification’ of the entire wildlife sanctuary. So why should a turtle sanctuary cause any harm to a government that has as its key election promise a commitment to saving the Ganga? The NDA government has grand plans for this section of the river, and this tiny sanctuary was proving to be a big thorn in the way of those plans. Nitin Gadkari’s shipping and water resources ministries want to turn this section of the river into a part of a 1,620-km long national waterways project being funded by the Centre and World Bank at an estimated cost of Rs. 5369.18 crore. The project proposes to build multi-modal terminals at Varanasi, Uttar Pradesh, Sahibganj, Bihar and Haldia in West Bengal. It will also involve roll-on roll-off (Ro-Ro) ferry passenger services. A series of thermal power plants are also being planned in Uttar Pradesh along the river that could be the main beneficiaries of the Ganga waterways programme. In order for the big plans to be operational, dredging of the Ganga would be required. Many environmentalists and ecologists have raised objections to the inland waterways project that is being developed and the impact the proposed dredging will have on the fragile ecology of a river already under enormous stress. In an interview to this writer, Himanshu Thakkar of the South Asia Network for Dams Rivers and People (SANDRP) further states that “this waterways project hasn’t gone through a credible environment appraisal followed by the necessary monitoring and compliance process. The decisions being taken as a result are not scientifically informed, nor are they being taken democratically. The whole attempt seems to be to push a commercial venture without looking at how this will affect the Ganga rejuvenation process”. That the state and the Centre want to ensure there are no green hurdles for this mega project was obvious when the National Board for Wildlife gave permission in June 2017 for ships to pass through the Turtle Wildlife Sanctuary. The NBWL did, however, impose severe restrictions that not more than one ship per day would be allowed and that the dredging activity should not disturb any wildlife. But clearly this was not enough. A retired professor from IIM Bengaluru, Bharat Jhunjhunwala, filed a PIL in the National Green Tribunal arguing that the Ganga Waterways project had not taken into consideration its impact on the river’s biodiversity that included the freshwater turtles, the Gangetic dolphins and fish species. “The impact of the sound, the wave wash and the direct hits from the ships that will ply on these waters, has just not been considered,” he told this writer. The simple solution the BJP-led governments at the Centre and the state has discovered is to just remove the entire sanctuary from the list of protected areas. 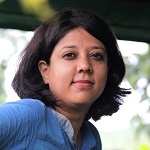 Bahar Dutt is an award winning environment journalist and the author of Green Wars: Dispatches from a Vanishing World.